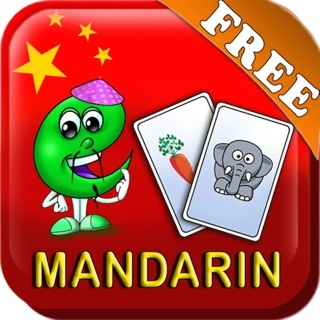 Kids Learn Mandarin Free includes the Numbers lesson: 8 fun Games, 1 Movie, and 20 collectible stickers - Free. 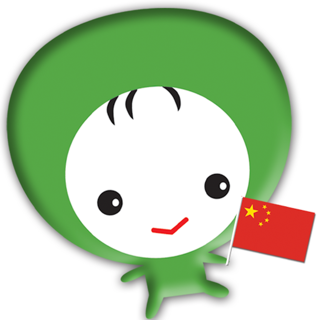 Eleven additional Chinese lessons can be purchased separately or complete. 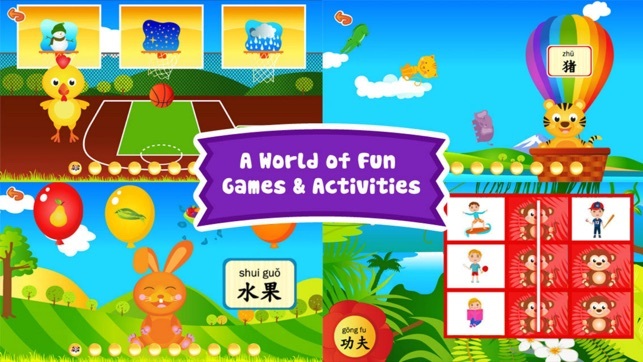 The Full Kids Learn Mandarin Game is a comprehensive and curricular approach to kids' Chinese learning, teaching over 240 Mandarin words through playful and progressive games and activities. Pei Pei the Panda hosts the language-learning adventure, which includes 9 fun and unique games like Turtle Hop, Balloon Pop and Shooting Hoops. 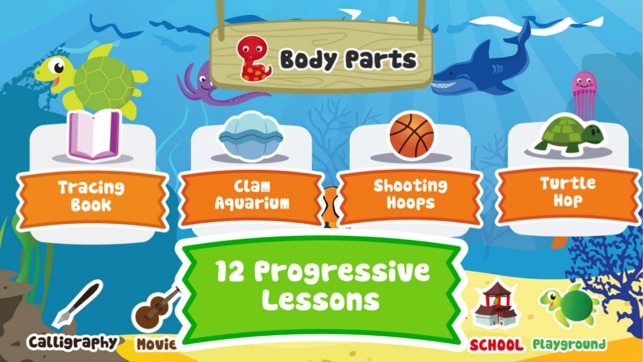 Each game is designed to help children ages 2-8 achieve mastery over key Chinese vocabulary. 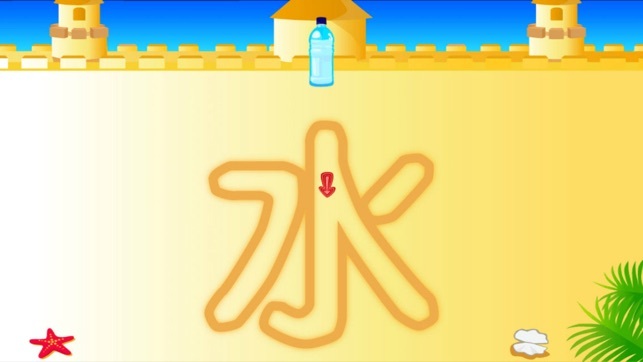 Each lesson also features a Music Video, Chinese Character Writing Practice and a Playground that kids can decorate with Stickers they earn as they play. I bought the full pack and I'm glad I did. It is good for both my four and six year old, and they have learned a lot of vocabulary. The games test what they learn and reinforce well. They are not learning sentences, but just vocab. It would be vastly improved if there were pinyin visible during the "movies" which are basically just songs. With translation, because we have no idea what they are singing. It's too much too quickly to really be a learning tool unless the parent is also a Mandarin speaker. 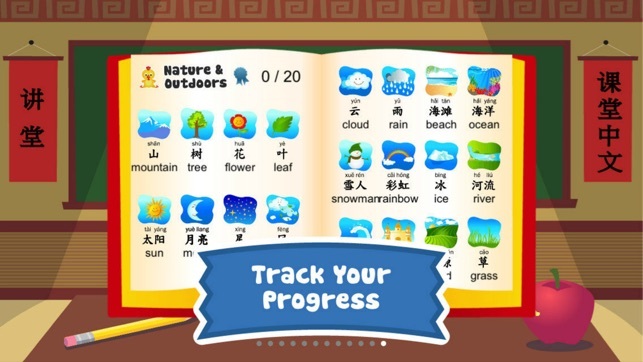 The reward sticker book could be so much more useful if we heard the Mandarin word for the sticker when they tap on it. Also, though the calligraphy isn't very useful, if we could hear the word pronounced again when we tap on the object, it could reinforce vocabulary and pronounciation. But still, it's one of the better apps out there. 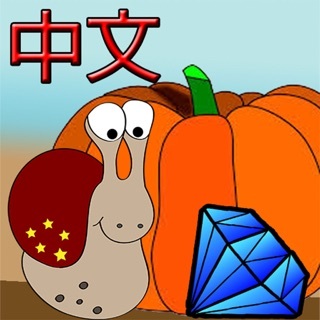 This app provides an outstanding introduction to basic words in Mandarin. It will not get you speaking the language, but it will definitely allow you to learn some common words and characters. 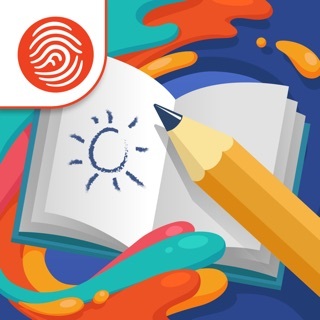 The app introduces words, then uses a standard quiz format to reinforce the vocabulary. Perhaps the only shortcoming in the game is that from module to module, the games/quizzes remain the same. It would be nice if the selection varied a bit from module to module , just to keep it fresh. That being said, it is not enough to warrant taking away a star. Just a recommendation for the developers in a (hopefully) future update. This app makes the necessary repetition for vocabulary building most enjoyable! The use of pictures and lack of translation also teaches the language without that pesky 3rd step that slows down language learners-translating is not the best way to learn! Especially for children! This is worth the cost. Moving to the next level of sentence structure needs another app. © (c) 2017 Fingerprint Digital, Inc. All rights reserved.